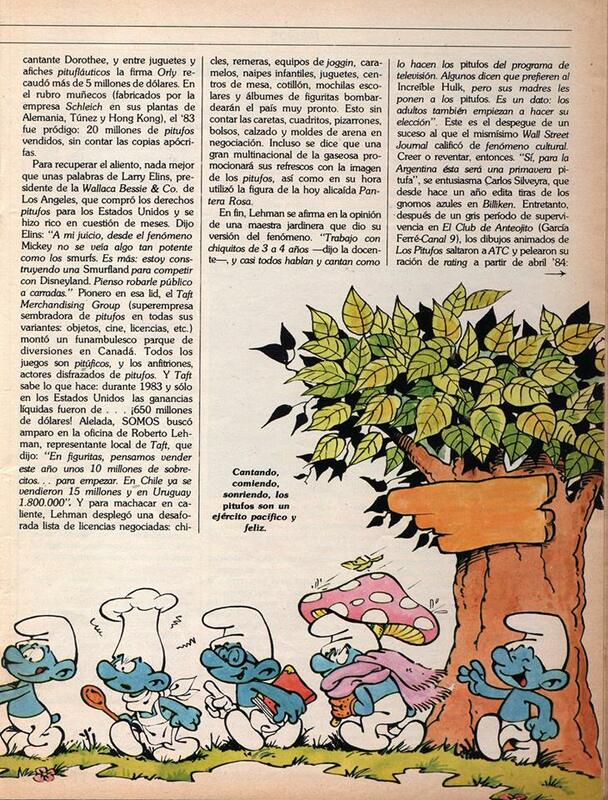 smurfs in South America in the mid 80s. 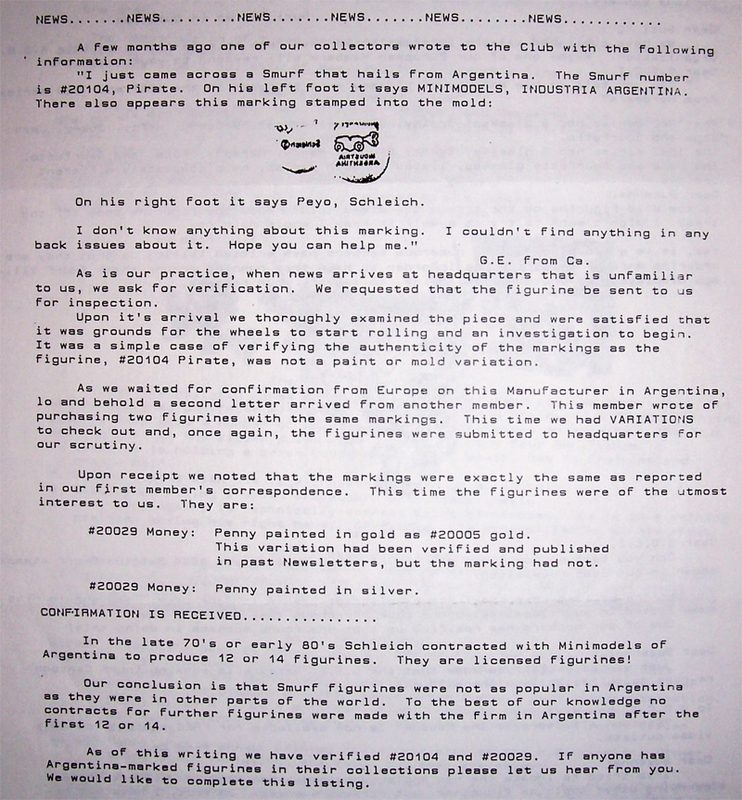 Schleich to the SCCI in 1991. The SCCI verifies a few more smurfs as Minimodels in later letters. But when did it all started in Argentina? 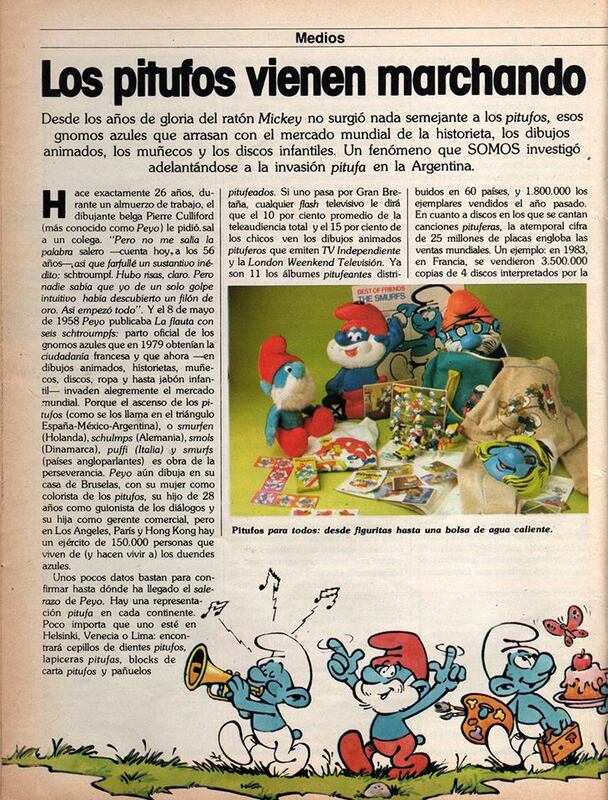 increasing populairity of smurf merchandise in Argentina. was negotiating with different argentinian companies for smurf licenses. group, which handles the licensing." 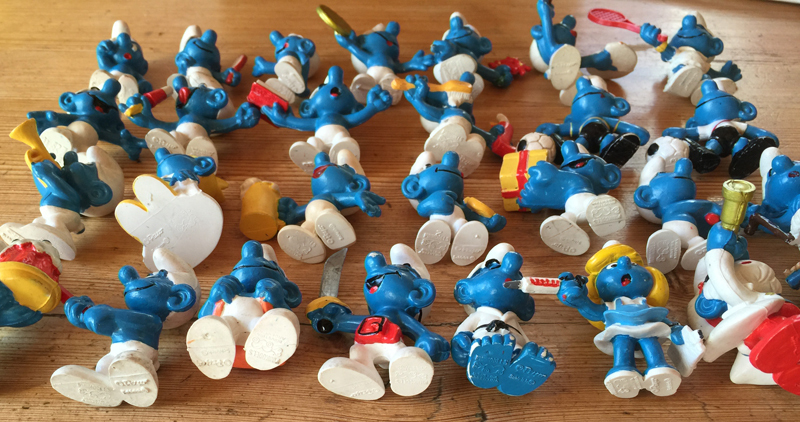 So in late 1984 or early 1985 Minimodels got the license to manufacture smurf items. There was a close connection to W Berrie as you can see on this item by Minimodels. It has both W Berrie Co and Minimodels license on the package. Also smurf puzzles were made by Minimodels. but probably all with Minimodels markings. Here are some of the marked Minimodels. 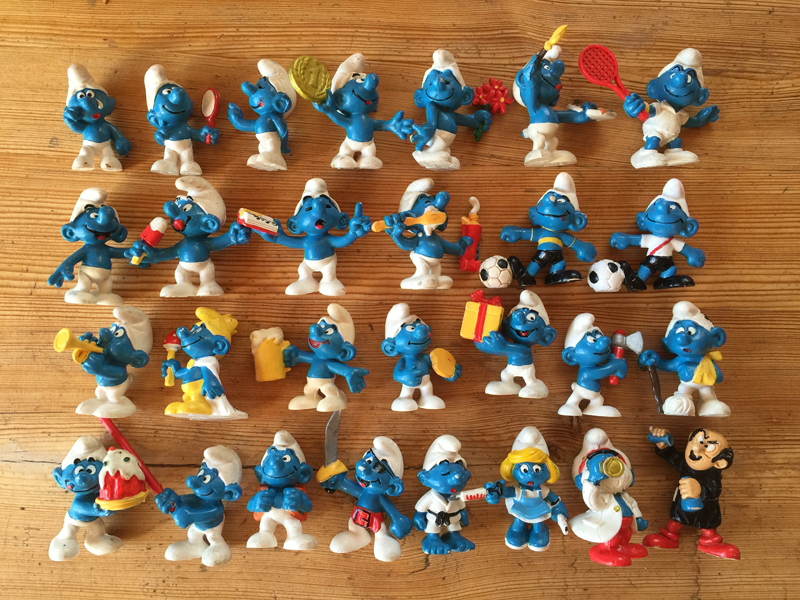 The complete list of smurfs with Minimodels marking. Click on them to see markings and smurfs. painted for the 2 largest clubs Boca Junior and River Plate. producing smurfs unlicensed. So new types were sold, but then without markings. Minimodels logo printed on the figurine." Here is the list of the unmarked smurfs made by Minimodels. Unlicensed. 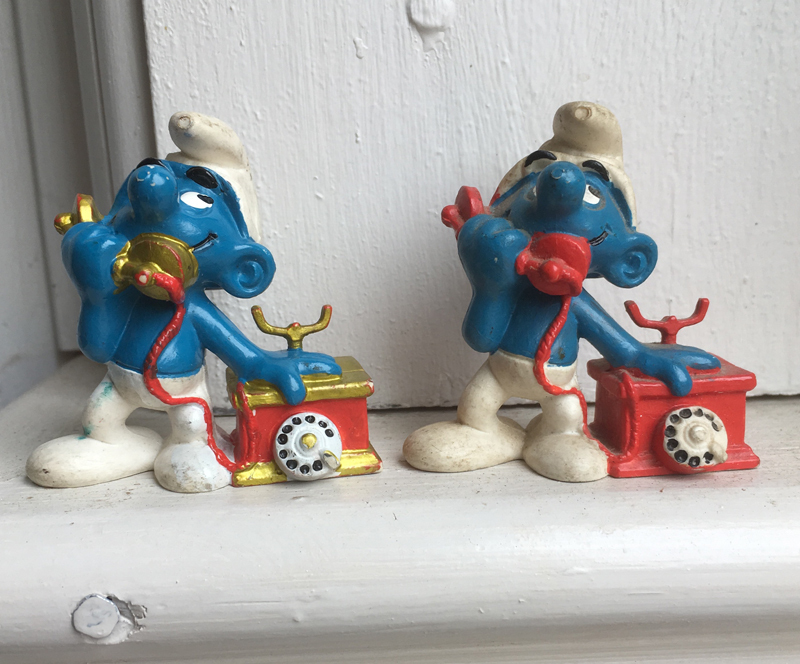 did not have to obey Peyo "rules" when it came to how to paint them. 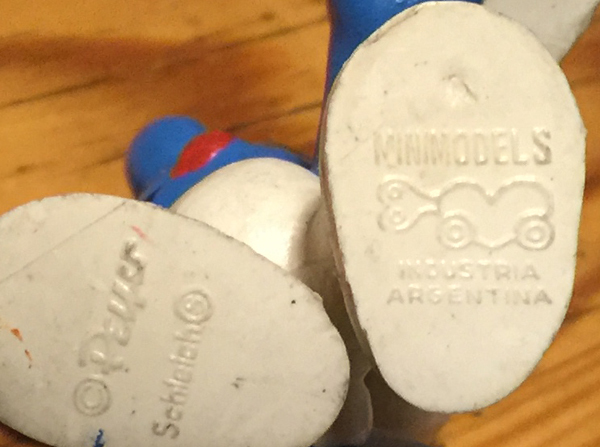 Argentina, actually were made by Minimodels and painted by Minimodels. Not repainted. I am sure Minimodels made smurfs using the Hering molds. manufacture smurfs. So they are unlicensed smurfs just like the unmarked Minimodels. the license and then they are licensed. But then only the ones painted like Peyo approved. 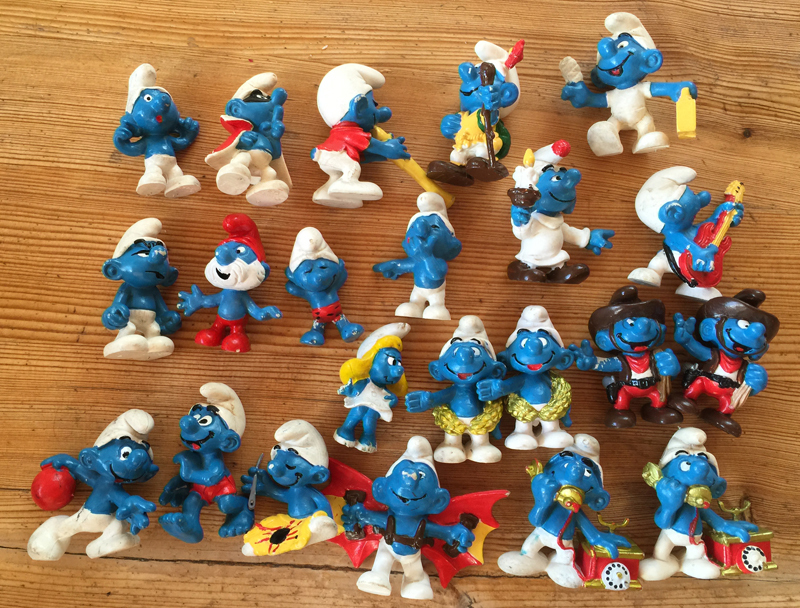 when Schleich continued making smurfs from the Bully molds. 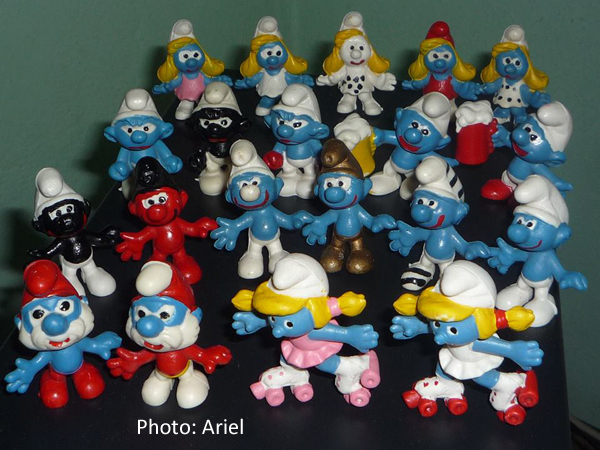 My guess is that all 23 Hering smurfs can be found made and painted by Minimodels?? The Hering mold was used by Minimodels for this variation. Not gold painted. only the tip of the tail is painted. Tailvariations on marked Minimodels. Most of them look like the one in the middle. 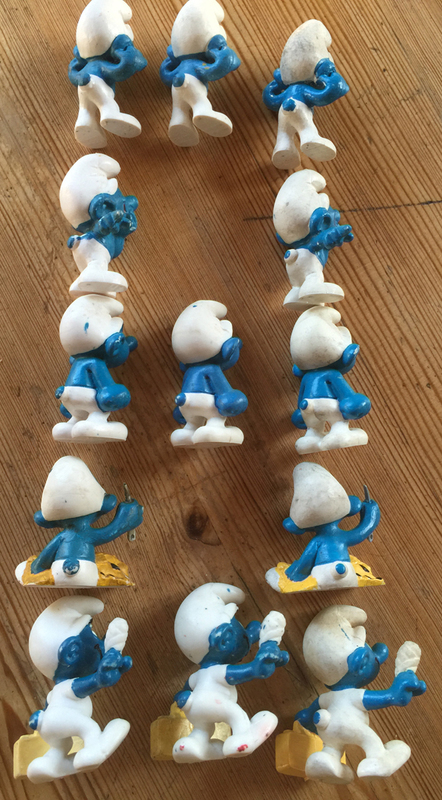 This is to show the differences on some of the Hering smurfs. To the left are the softer Hering marked smurfs made in Brazil. 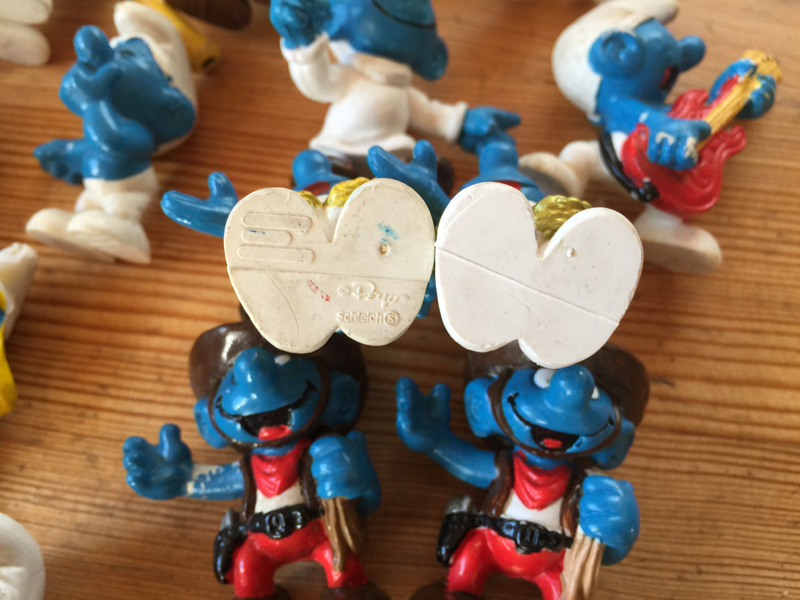 In the middle are the Hering smurfs with erased markings still sold and made in Brazil. with erased markings and from Argentina. In my opinion made by Minimodels. 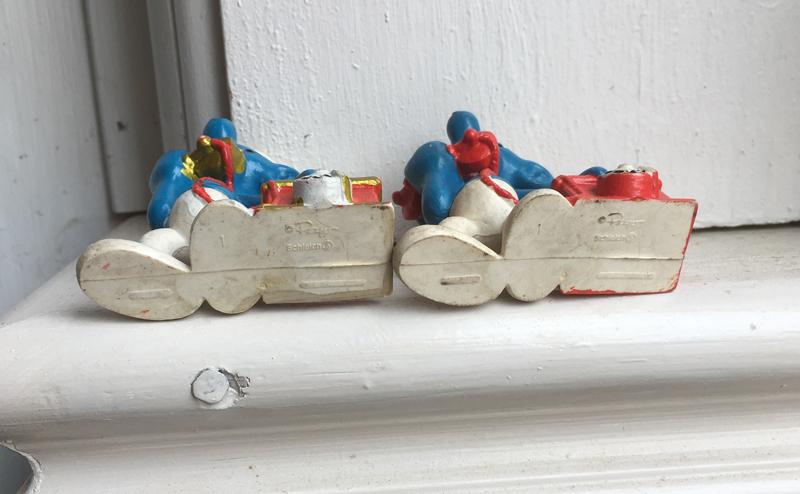 I think only these 6 molds were used but painted in different ways. Minimodels did not make these fakes.